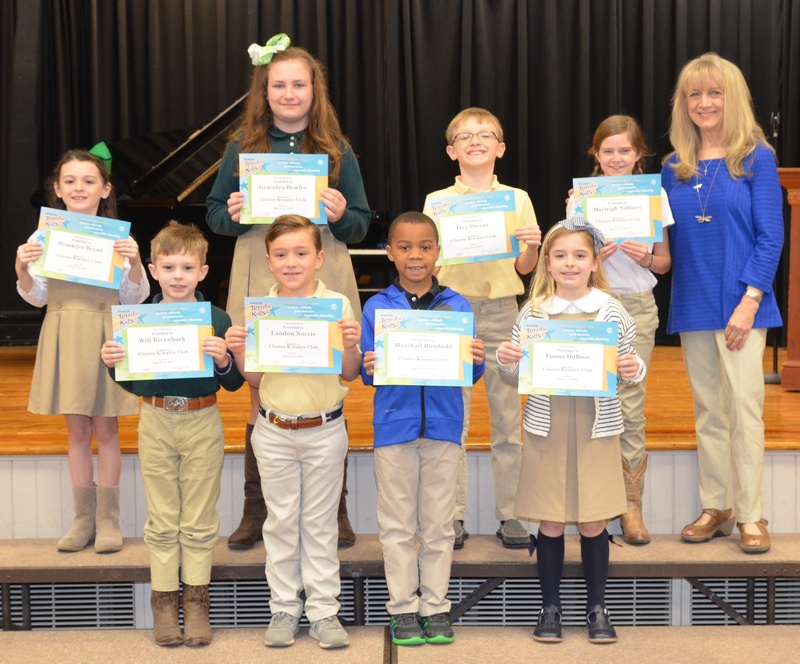 Harrells Christian Academy recognized eight outstanding students for the Terrific Kid program on April 14, 2019. For this nine week grading period, teachers selected one student from each class that stood out as being responsible, respectful, and caring. Clinton Kiwanis Club representative Mrs. Becky Spell presented certificates to the following students pictured from top to bottom: Brooklyn Bryan (2nd grade), Gracelyn Bowles (4th grade), Trey Owens (4th grade), Marleigh Sidbury (5th grade), Will Rivenbark (Kindergarten), Landon Norris (Kindergarten), Marshall Rumbold (1st grade), and Emma Dubose (3rd grade).